I came across this picture a few weeks back and have been meaning to post it because I love the subject matter so much. H.P. 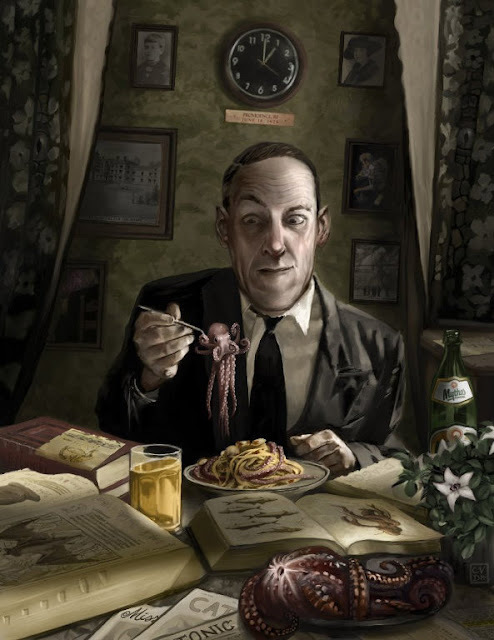 Lovecraft is one of my all time favorite authors, so seeing this excellent imagining of the moment when all the ideas for his crazy stories clicked for him in his real life had me speechless. Artist Cyril Van Der Haegen leaves no Lovecraftian character or theme out in this one... check the full size version after the jump.